Integrate your WooCommerce store with Barclays ePDQ payment gateway. It's important to select a brand that not only you can trust to take care of your business payments, but inspires confidence and familiarity with your customers. As an online merchant & business owner, it’s equally as important to feel confident that transactions run smoothly and securely, and that help from us is just an email away if you run into problems. Industry researchers have proved that credit card payments on-line increase sales up to 23% because products and services become more easily available to customers. This plugin will add a Barclay ePDQ payment gateway to your WooCommerce website. If you require the direct method (customers make payment on your website) please check out our Barclaycard ePDQ Direct Link Payment Gateway WooCommerce plugin. 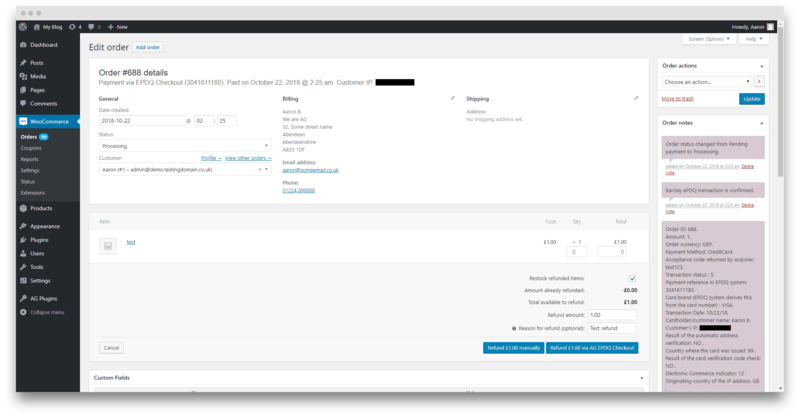 This plugin allows you to process refunds directly within WooCommerce & the use of ePDQ Dynamic templates. The plugin supports the use of ePDQ Dynamic Templates. 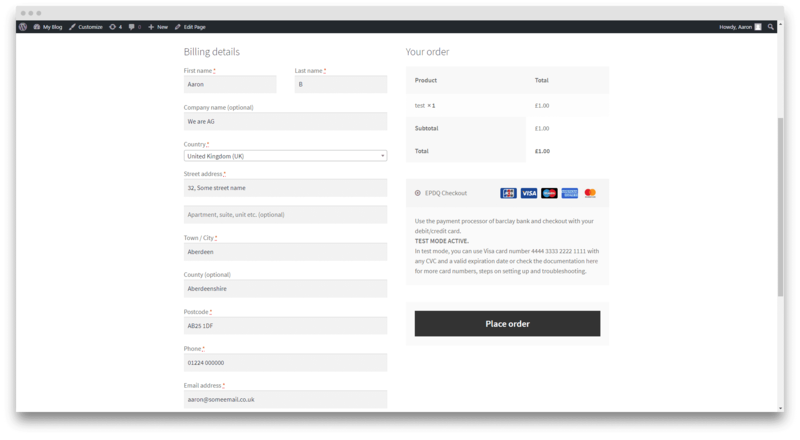 The dynamic template page allows you to customise the design of the payment pages in a more advanced way than the static template does. Rated 5 out of 5 stars based on 41 customer reviews. If only all plug-in providers worked this hard. I'm writing this at 8pm having just finished a support experience with AG where they went over and above what I had expected from them Problem was sorted, explanation given and site is back too perfect. Never had any problems with this plugin, it was easy to setup and has worked without errors for the past 2 years. Aaron was very helpful and ran a test purchase for me when I recently upgraded it.. I've been using this plugin on a client site for a couple of years and it was tremendously easy to install and has always worked very well. I had a few problems with a recent upgrade, and Aaron responded very quickly and helped me troubleshoot these - the issues were entirely on my side by the way. This level of support is invaluable, and the latest version provides a smooth integration with the Barclays gateway.. Absolutely brilliant service, Couldnt fault them at all. Thank you to Aaron for all your help. Plugin works perfectly. Great team. Look forward to working with you more..
Aaron was quick to reply to my issues and sorted them out promptly. Couldn't ask for a better service. My test site was set up a little different to the norm so I needed a bit of guidance. Aaron responded really quickly and helped me through every step. Really great & would recommend. Many thanks.. Although I needed help Aaron assisted every step of the way going above and beyond in help and speed of response. EDPQ is an arcane product and knowing there was someone there to help made the difference.. Adding a payment gateway can be a tricky process.Unfamiliar terms and working across 2 platforms, your own website and your Barclays ePDQ account can seem a little daunting. Aaron was quick to reply to my questions and clearly explained everything I was uncertain about . I'm very pleased with my purchase and confident Aaron is available should I need further assistance.. Very simple to install and configure. Had a few issues on the Barclays side, not the plugin, and support was very quick and helpful.. This was handled very nicely by Aaron. So much support along the way. Thank you Aaron! . Used this plugin for a recent site after the previous plugin was discontinuing. Aaron has been quick, efficient and more than helpful in a recent conflict that had stopped the plugin working. The plugin itself is well documented and easy to set up for anyone with a bit of technical knowledge. I would highly recommend it.. The plugin was as simple as it could be to install and set up. I had tried other plugins and had problems with all of them. As it was my first time connecting the ePDQ system to one of my sites and must say I found their system quite daunting but Aaron sorted out my settings within the ePDQ system and made it work in no time. I would recommend this plugin to anyone who just wants something that will work with no hassle..
Really easy to setup. Needed couple of bits of technical help at 7pm nothing to do with the plugin just wordpress being out of date and responded within 15 minutes. Would definitely recommend due to the support well worth the money and much better than any other plugins out there..
We had many problems with EPDQ with a previous plugin, even though it was the latest. We found this one, had a chat with the Livechat attendant, and after a few CSS niggles (they helped), it works perfectly. We can trash the one that failed, and hope our customers enjoy the new experience. Thanks for the help. Would recommend.. I had a few compatibility issues with the plugin and my website but Aaron went above and beyond to help me out. Issues were resolved and I was sent over a patch for the plugin the same day.. So Simple and Support Excellent! Ordered and setup within a matter of minutes. So easy compared to other gateway plugins we've used in the past. Needed a little support towards the end where Aaron pointed us in the right direction, Thank you. Wish i'd found this plugin 12 months earlier!. I emailed support and Aaron was amazingly helpful and could not have done more to provide support The service level is perfect and you are a credit to your company my plugin issue (which wasnt a plugin issue but a developer issue) is now sorted Thank you Aaron. Just wanted to say thank you for your absolutely amazing support. Aaron went above and beyond to help with our problem (not to do with the plugin) and got us back up and running. Excellent service, would recommend WeAreAG 100%. Thanks again!. We had a little bit of an issue when transferring the site from dev to live. But Aaron was SUPER FAST in responding and helping us fix the issue. I was concerned about hours of work needed to connect my client's Woocommerce site to epdq, thank goodness for this plugin! It's really straightforward, quick to set up and support has been excellent, on the two occasions I had a question I received a helpful answer promptly..
Great plugin - nightmare to find a Barclays EPDQ plugin for most sites so it was great to find one so easy to use. Installed, added relevant data and worked first time. I actually bought the wrong version first of all and ‘weareag’ refunded without a problem and kept me informed regarding refund every step of the way! This company and plugin is highly recommended! 10/10. Plugin works perfectly, easy to set up and support is quicker than Louis Hamilton on Speed!. Had an issue with the configuration, which was down to me, and the support was lightning fast , accurate and worked first time. We have been using this plugin with WordPress and WooCommerce for several years now and when an update on our server caused a glitch the service we got from Aaron was fantastic. He not only sorted everything out within a few hours (and it wasn’t anything to do with the plugin – it was a setting in Barclays back office), he even made a couple of payments to us to try it out to make sure it was all working. Aaron, I owe you 2p. Thanks for all. I got in contact with the team to double check something prior to purchasing - I received a response within minutes! I used the screenshots on this product page to help me set the plugin up and it works a charm!. Couldn't ask for more, simple to set up to work with the Barclaycard setup, had it up and working in under 15 minutes, most of that time being the barclaycard setup..
Just wanted to leave a note to say thank you for the amazing support! We use a lot of plugins and this had been the best service by far. Thank you again..
Works perfectly, quick and easy to setup, and start taking payments. Have had a few technical queries and Aaron has got straight back to me, fixed them and offered excellent support . Will use again for our next website and you should too.. Worked as expected, Easy to set up and Fast support replies..... Highly Recommended.. This worked perfectly for us and the support was brilliant - highly recommended.. The plugin fitted perfectly with what I required to use Barclays EPDQ on site site. Hands down the easiest part of the whole EPDQ set up, don't know what kind of show those guys are running but setting this up was very very easy. As I needed to use multi currency on my site, Barclays provided me with two separate PSPID's which is not what they said they would originally do. Aaron was there to help out and customised my plugin and site for a small fee. It worked perfectly first time!! That never happens! Very fast support and extremely helpful. Hats off to Aaron, my new favourite developer! Created a killer plugin here and it is the only solution I will use for Woo and Barclays integration..
No catch, the right price for the product. I replaced a plugin from a different vendor and their price seemed to be marked at what they could get you to pay so when I saw the price of this plugin I was a bit sceptical. I needn't have worried the plugin works a treat and is what you would expect to pay for this functionality. A fair price for what I think is actually a better product nice work. One slight critisism is the images on the product page are not just there for display they show you how to set up the plugin, it may have been an idea to add a note to that effect or mark them a bit more than the yellow highlight currently used.. So simple even I can install it and use it. We looked at the Barclays recommended plugin and this one, and given that there's a serious price difference between the two can't imagine why anyone but the biggest players would not buy this. It works perfectly straight out of the box. No hassles. Signed up with barclays for ePDQ then discovered their 'approved' plugin is £150!! Glad I came across this - simple to install and looks great. A great plugin, easy to easy to use with great support..
Great plugin. Easy to set up. Works perfectly and is much more cost effective than other Barclays ePDQ plugins on the market.. Spoke to Aaron befor ebuying and he was very helpful. He told me it was easy to set up and it wasn't sales waffle, it genuinely is.  Was previously using a system recommended by Barclaycard, we paid for complicated installation service and after three months and £200 it has stopped working properly and no payment facility for two weeks, and the devs were unable to work out why. I literally set this up in 15 minutes and within 20 minutes of going live it paid for itself with orders. We were looking for a cost effective plugin for one of customers and the AG team came up trumps. After a slight glitch from our end configuring the plugin and after first choice support from Aaron at AG we have a very happy customer. I was looking for a way to implement a Barclays payment gateway on my Woo Commerce store to join it up with an existing account. 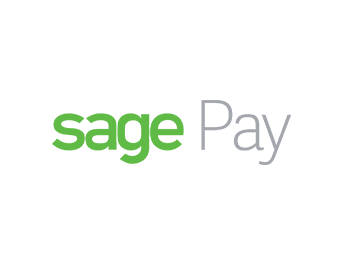 This allowed me to do so simply and easily, I was impressed with just how easy it was to set up and it has worked perfectly ever since..
Barclays ePDQ payment on front end.  Shop employees can now process refunds for an order paid for with Barclays ePDQ directly from within WooCommerce — no more logging into your Barclays ePDQ account to process refunds! Tweak - Convert all accent customer name characters to ASCII characters. Feature - Multi-currency support (the use of an multi-currency ePDQ account is needed). Fix - WP nonce issue was replaced with custom security hash. Feature - Implemented a second level of security using nonces, this is on by default. Feature - Implementation of update early warning feature, able to display warnings about updates and security patches. Fix - Fixed issue with some refunds not processing. Fix - ePDQ changed requirements for refund API call, changes added (NEW field in settings). Enhancement - improvements to refund error notices. Feature - The use of dynamic templates, new field in settings which will enable you to send dynamic template to ePDQ. Checking - Checking support for new WooCommerce version 3.5+ (working with latest version). Fix - Fixed issue with card icons not showing. Feature - Update to new licence system to stop the old licence system look up. Change - Added notice about plugin docs to welcome page. 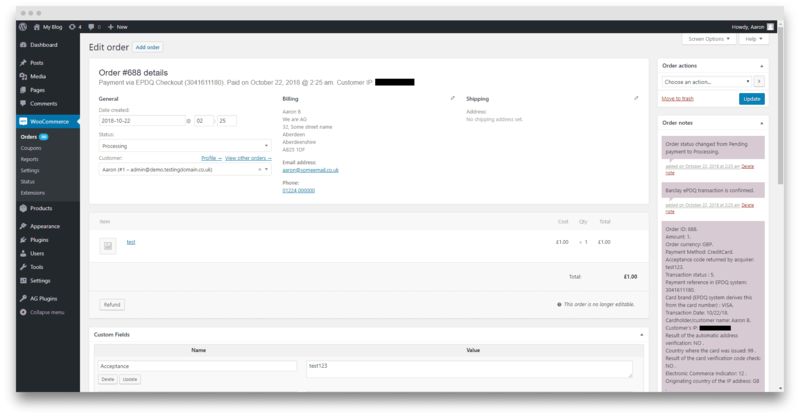 Fix - Removed prefix as causing issues with invoice plugins, prefix can be done with custom function in theme. New - Select card brands to be shown on checkout page. Fix - Fixed security issue. Fix - Fixed issue with refund settings not showing. Fix - Fixed issue with prefix, "-" removed. Fix - Fixed issue with prefix breaking orders from being marked as paid. Notice - Prep work for adding subscription payments to plugin. Feature - Add test mode notice with test card numbers to gateway description. Fix - Fixed bug with refunds not processing. 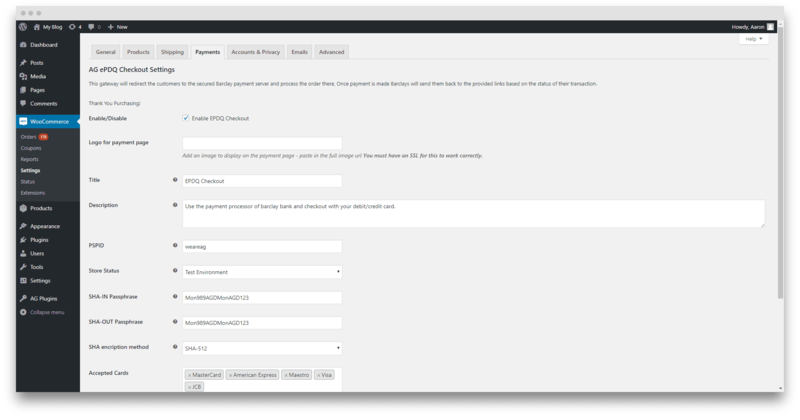 Feature - Process refunds direct from the WooCommerce admin panel. Feature - Pay for order screen auto redirects to Barclays server. Change - Function clean up - remove of old functions not used. Fix - Removed debug message from failed activation. Feature - Add of new welcome page with full plugin set up help. Feature - Enable website submit for new plugin showcase. Clean up - Final bits gone from old repo system. Fix - Issue with order notes & "payment_complete()"
Fix – Removed unused sections from admin screen. Fix - Tweaked process for better results. Feature – Add option for tracking, better debuging. Feature – Changed to new Repo. Feature – Added RSS feed.